Fits knives with up to 130mm long x 32mm wide blades. 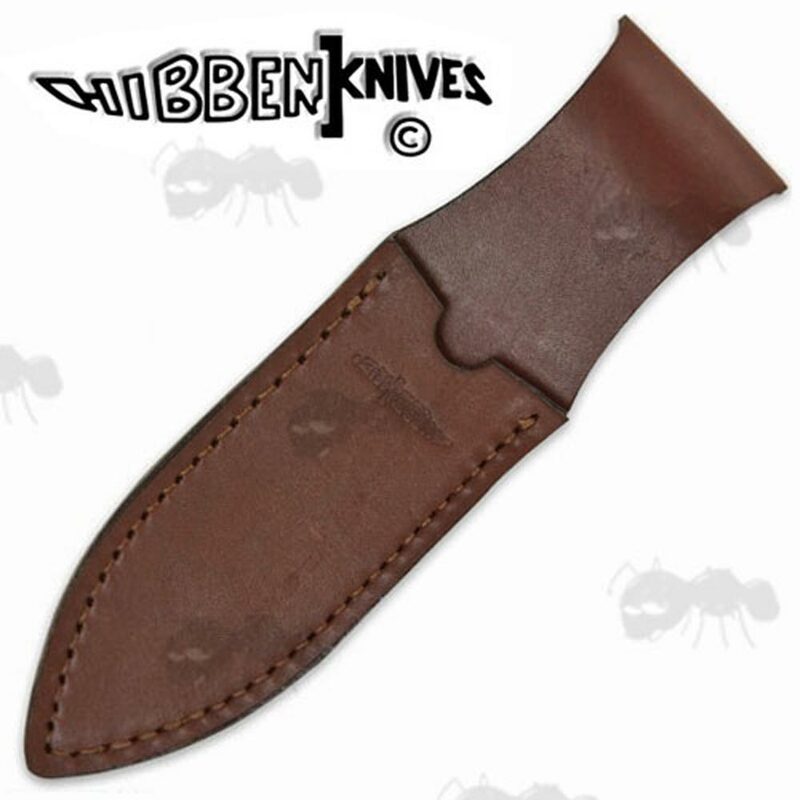 Fits knives with up to 120mm long x 32mm wide blades. 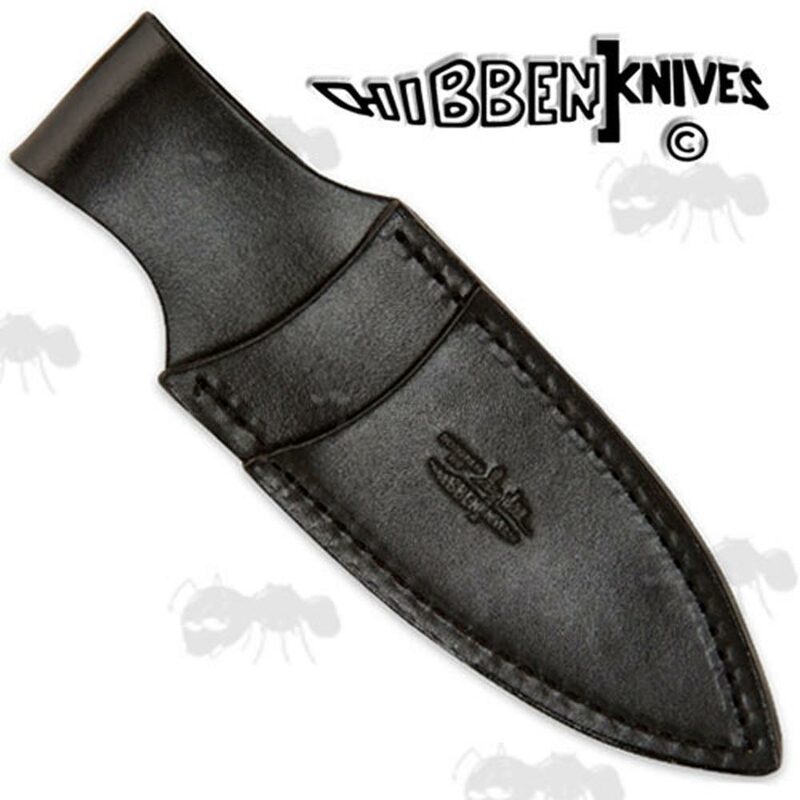 Embossed with the Gil Hibben logo. Designed especially for throwing knives. The brown sheath holds three throwers, the black holds two. 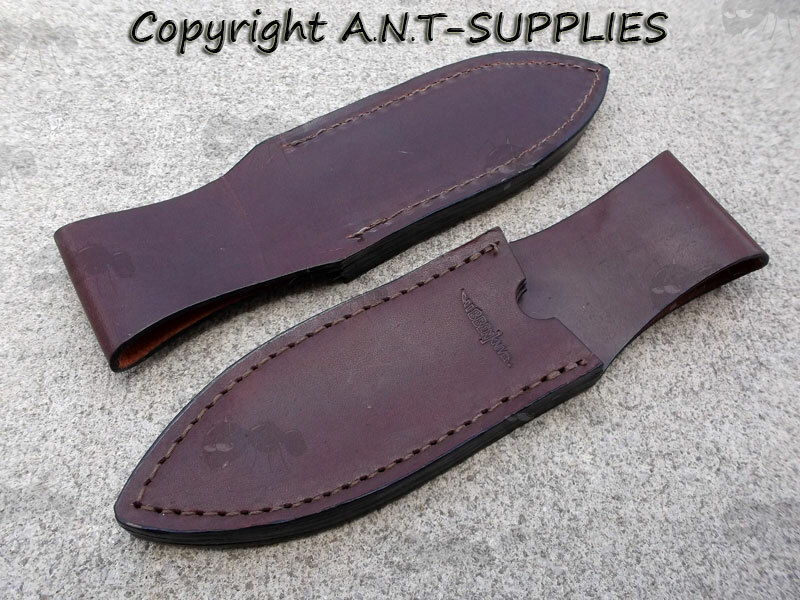 This is for one sheath, the photo below is to show front and back.